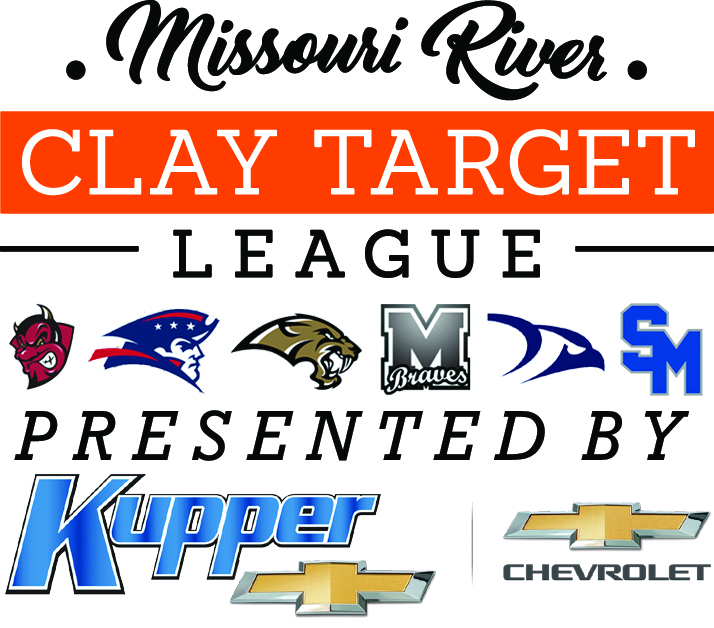 In League Week 4, members of the Missouri River Clay Target League (MR CTL) trap shooting teams from Bismarck, Century, Legacy, Mandan, Shiloh, and St. Mary’s High Schools built on the great gains made in the previous week of competition and personal bests continued to mount as part of the growing North Dakota State High School Clay Target League (ND CTL) Spring Season. Century’s Blaine Howard led all MR CTL shooters with a total of 49, coming on rounds of 24 and 25, with the competition quickly closing in behind him. Shiloh Freshman Andrew Ring and Century Eighth Grader Ethan Knopp posted perfect second rounds and totals of 48, along with Freshman Logan Heen of St. Mary’s on 24-24 shooting. Austin Hartman of Shiloh rounded out the top five with a total of 47. Colton Ternes of Mandan posted his first perfect round of the year, along with Isaac Wanner of St. Mary’s. The five perfect rounds logged were a season high the six area schools. “When you start to see scores pile up in the high 40s, it’s evident the kids are finding their form, seeing the targets, and hitting their stride,” said Coach Eric Thompson, “across all six schools, the participants are peaking at just the right time,” he concluded. The overall average for all six schools improved to 34.4, up 2.2 targets from League Week 3, and 60 shooters posted at least one round of 20 or more, a season high. In Conference standings, Shiloh rises to second and Bismarck is fifth in Class 1A-2 out of 8 teams. St. Mary’s moves up to fifth out of eight teams in Conference 1A-3 and Century jumps to second in the eight-team Conference 1A-4. On the highest in-conference scoring of the week, Legacy rises to fourth overall in the larger Conference 2A-2, while Mandan is sixth. With his 49, and 149 out of 150 over the last three competition weeks, Howard sits atop all 1,400 shooters in the state with a 24.5 average going into the final week of competition.